On April 3, 2015, Sonoma County’s secret war on marijuana confronted an unprecedented roadblock. 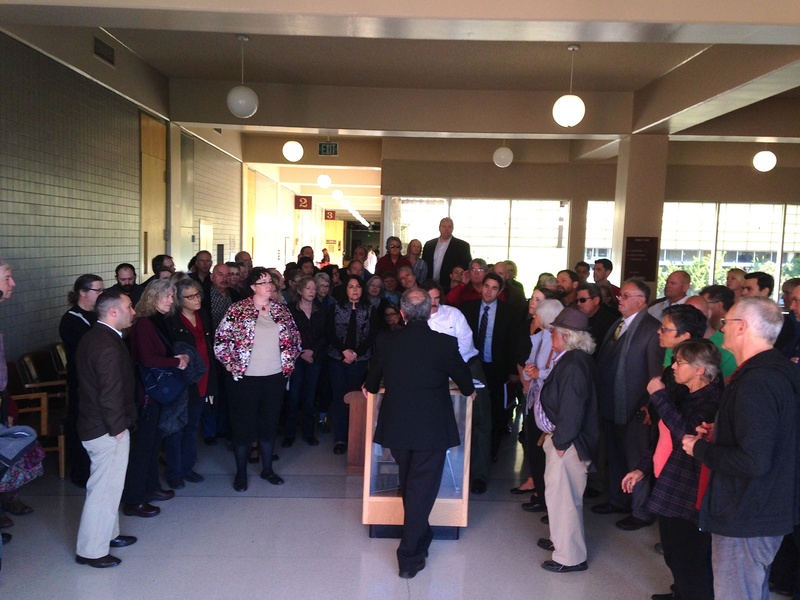 A freedom flash mob had gathered, overfilling a courtroom and packing the hallway outside. Nearly 100 upstanding citizens had taken off work that morning and made their way through a crowded security checkpoint to challenge the recommended four-year imprisonment of Yarrow Kubrin. 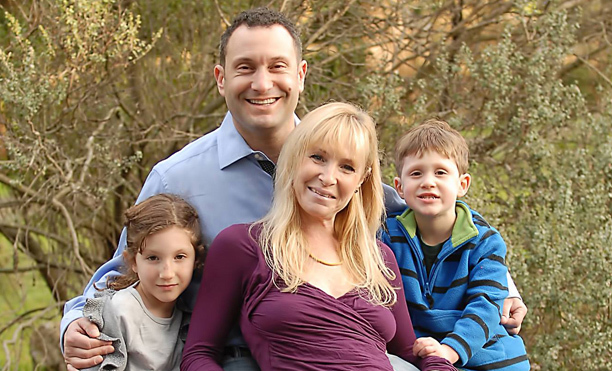 A tax-paying real estate broker, husband, and hands-on parent of two young children, Kubrin was due to be sentenced for a four year old victimless crime of a “legal grow” operation that had violated a few technicalities of the state’s arcane marijuana laws. Sonoma County had never seen anything like it. Kubrin was unwilling to leave his family to walk quietly into the dark night of shameful criminality for a victimless crime. He was asking for help, and his community was rising up to support him. Last fall, the Deputy District Attorney prosecuting his case had revoked her own plea bargain offer of probation but no jail time, as “too sweet a deal” for her supervisor. The D.A.’s office had requested that the judge sentence Kubrin to a prison term of no more than five and a half years. Sonoma County’s Probation Department, it its probation recommendation, requested a sentence of four and a half years in prison, and three more years under its “supervision,” during which time, Kubrin could be sent back for more jail time if he violated unrelated technical prohibitions like drinking alcohol or stepping foot in a bar. Because Kubrin pled guilty (to avoid even longer prison sentences), Superior Court Judge Rene Chouteau has complete discretion as to whether to sentence Kubrin to many years in prison or to allow him to remain with his wife and children, supporting them while on probation. So the air was tense in the packed hallway outside the over-filled courtroom, where Kubrin’s fate was being weighed. Rabbi George Gittelman of Shomrei Torah, the County’s largest synagogue, where Kubrin’s first grade daughter attends Hebrew School, joined scores of other professionals, relatives, friends, and fellow parents. After a half hour, Kubrin emerged from the courtroom with his attorney, Chris Andrian, who stood on a bench to be heard by the large crowd. Andrian explained that Anne Masterson, the Deputy District Attorney for the case, was seriously ill with pneumonia and had been granted a one month postponement. (UPDATE: On May 5, Judge Chouteau rejected the D.A.’s five year request and sentenced Kubrin to one year in prison; coverage of this can be linked to here). Attorney Chris Andrian addresses the freedom flash mob gathered in courtroom hallway to support Yarrow Kurbin. Photo by Jonathan Greenberg for the Sonoma Independent. Yarrow Kubrin was arrested more than four years ago, a few months after making numerous cash deposits of more than $10,000 each in an Exchange Bank account that he had opened for his non-profit medical marijuana collective, which he called ‘The Higher Calling,” or “THC.” After two banks had rejected his efforts to open a transparent legal account for a medicinal marijuana non-profit, Kubrin’s civil attorney personally escorted him to meet with a vice president at Exchange Bank to open an account. Neither knew that Exchange Bank is where a retired Sonoma County Sheriff’s detective, Mike Leonard, is now a Vice President, leading a three person team that reports large cash deposits to law enforcement. Tracking revenue, keeping careful books and paying taxes on a collective’s deposits are required by the State of California’s obtuse medicinal marijuana law. But paying taxes would seem to require a checking account, which, in turn, necessitates a bank account. Kubrin thought that depositing money in a bank account, along with limiting the number of plants grown to the number of patient licenses, and the size of his “canopy,” would make his grow operation conform to state law. But he was wrong. In a Kafka-esque manner, depositing cash from any marijuana sales in a bank account violates state and federal banking law. Mike Leonard decided not to simply cancel Kubrin’s account, as hundreds of banks did to more than 1,292 marijuana-related businesses last year alone. Instead, Leonard contacted his former employer, the Sonoma County Sheriff’s Department. They obtained search warrants, and early one morning in 2010, teams of heavily armed law enforcement officers raided the pot farms. They arrested everyone involved in the grow collectives, and confiscated all the money they found under the State’s draconian civil asset forfeiture laws, even pulling cash out of each individual’s wallets. They then hauled Kubrin off to jail. In the eyes of Sonoma County’s District Attorney’s office, Kubrin’s charges were complicated by the “constructive possession” of never-fired firearms in his wife’s locked safe, for which he was charged with an additional felony. Owning guns is legal in California, but not for Kubrin, due to a prior marijuana felony conviction for selling $500 worth of hashish to an adult undercover agent nearly 15 years earlier. In its long presentation of Kubrin’s past and current charges, the Sonoma County Probation Department does not relate a single past or current charge that Kubrin ever harmed or threatened anyone, or that he grew on public land, or diverted water, or sold marijuana publicly or to minors. In my written questions, I had asked Probation Director Robert Ochs a number of questions about Kubrin’s recommendation, as well as a few general questions, like how many Sonoma County inmates, in his rough estimate, had been sent back to prison, or had their probation term extended, for testing positive for marijuana. Director Ochs delegated my request to David Koch, Deputy Chief Probation Director, who replied via email, “As you are aware, Mr. Kubrin has not yet been sentenced. Therefore it would be highly inappropriate for me to comment. Perhaps after sentencing we can discuss your questions although I offer no guarantee of a response to any of the questions submitted thus far.”To better inform the public about why both the D.A. and Probation Department are insisting on jail time for Kubrin, the Sonoma Independent contacted the County’s top public officials responsible for administering justice. Despite one week of lead-time, and clearly written questions asking about their general policy of recommending incarceration for victimless marijuana crimes, neither District Attorney Jill Ravitch nor Probation Director Robert Ochs chose to respond to my questions. Both County department heads are periodically quoted in the Press Democrat assuring the public that they support alternatives to incarceration, or that they pay little attention to non-violent marijuana offenses. During the past four years, while crime against people and property has dropped to near record lows, Sonoma County’s Probation’s budget has increased by $16 million. It surprises many taxpayers to learn that the Probation Department’s budget has ballooned to nearly four times the size of the budget of the entire County Library system. Or that these libraries, serving 100,000 regular users, have been closed Mondays for the first time in a century due to a budgetary shortfall of just $1 million, a shortfall that Sonoma County, which is stronger than ever financially, cannot seem to find money to address.